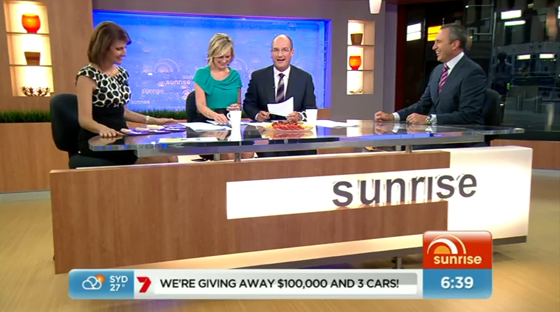 Jack Morton and lead designer Jim Fenhagen helped develop a new look for Australia’s Channel 7 morning program “Sunrise” that launched last week. 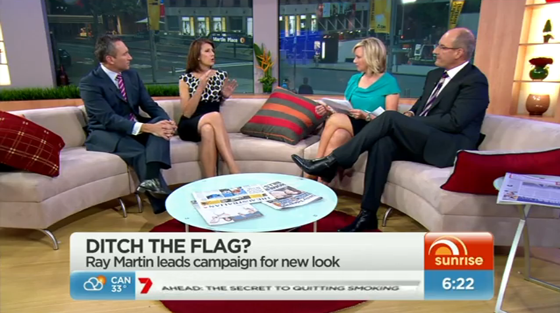 The new set, located at Channel 7’s Martin Place studio, uses various wood tones and LED lighting to create an inviting morning show set. 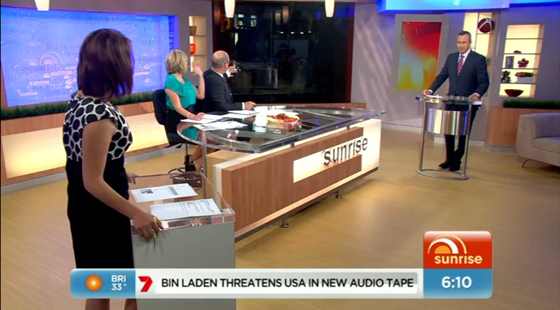 “Visually, the most obvious changes to Sunrise in 2010 include a brand new set, new graphics and new logo. 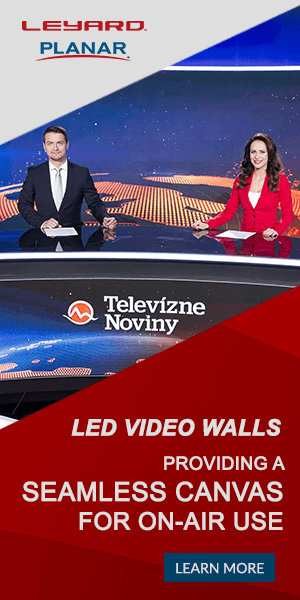 The set will be fresh and modern and unlike anything else on Australian television,” stated a news release from Channel 7. The set does match many U.S. sets, including some elements from the Today Show and The Early Show, but overall has it’s own feel. The set is also very tightly packed into Martin Place, utilizing an existing space, much like the Today Show in the U.S. This is Fenhagen’s first work in Australia, but stateside he’s designed sets for The Early Show, The Martha Stewart Show and CNN.